Rock for Heroes are fundraising through music in Wimborne in July in support of the charity Help for Heroes. Are you ready to rock? Then why not immerse yourself in the new live music experience with Rock for Heroes. 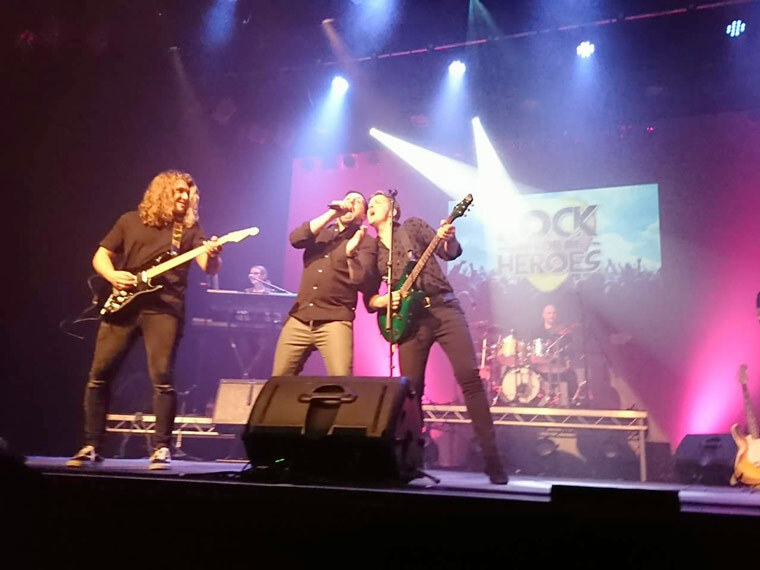 It brings the perfect combination of your favourite rock and pop music from across the eras, in celebration of a great cause – Help for Heroes. Rock for Heroes will also be collecting for the Help for Heroes charity after every show. Performed by a full, live, rock band and superb singers, it features music from artists such as Dire Straits, Status Quo, Queen, David Bowie, Madonna, Spandau Ballet, Bryan Adams, Elton John, Simple Minds and many more. You won’t see a bad wig as this isn’t a tribute act, this group is simply paying tribute the best way they can to the legends in music while raising funds for a worthy cause. The show takes place at The Tivoli Theatre, Wimborne on 21 July at 7.30pm.